Compromising on quality isn’t necessary when you drive home in a pre-owned car from car dealerships in Cheboygan, MI like ours. 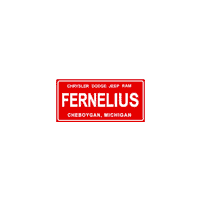 Fernelius Chrysler Dodge Jeep Ram has plenty of used cars Cheboygan, MI that are ready for a test drive. When you’ve reviewed our inventory online, check out our used vehicle incentives or value your trade in for an extra savings! We even carry an exclusive inventory of cars under $10,000 for those looking to stick to their budget. Come down to Cheboygan from Indian River today to see what’s available to you in our pre-owned inventory. While we carry many pre-owned Chrysler, Dodge, Jeep, Ram options, we also have other models that we think you’ll love. Our used inventory is checked by our reliable service department, so you won’t have to compromise on quality when you find your next pre-owned vehicle. Have questions? We’re here to answer them and guide you through your next vehicle purchase. Connect with us to find out more about your options, and even apply for financing before you visit car dealerships in Cheboygan, MI like Fernelius Chrysler Dodge Jeep Ram. We’re here to help find the used cars Cheboygan, MI that’ll suit your Gaylord commute. Interested in a used RAM 1500? Check out our comparison of the 2019 RAM 1500 vs. Ford F-150 to learn more about the performance you can expect from a high-quality used RAM truck.